6 Night Cruise sailing from Baltimore roundtrip aboard American Star. 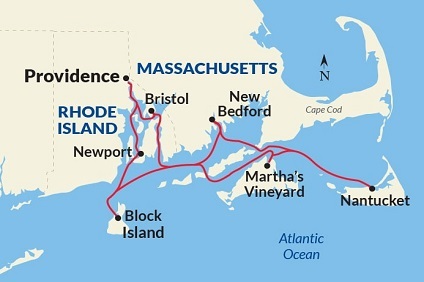 7 Night Cruise sailing from Providence roundtrip aboard American Star. 14 Night Cruise sailing from Baltimore to Jacksonville aboard American Star. 7 Night Cruise sailing from Baltimore to Charleston aboard American Star. 7 Night Cruise sailing from Jacksonville roundtrip aboard American Star. Largest Staterooms in the industry, Flat screen TV and DVD player, Hairdryers, Individual Climate control NB - single bed only.